This old map of Liverpool is a more detailed map to accompany the smaller-scale Environs of Liverpool map (also available as a high quality print) from the Royal Atlas of England and Wales. It was published in 1898. Although the map doesn’t cover nearly as great an area as the other map, it more than makes up for it with the detail. 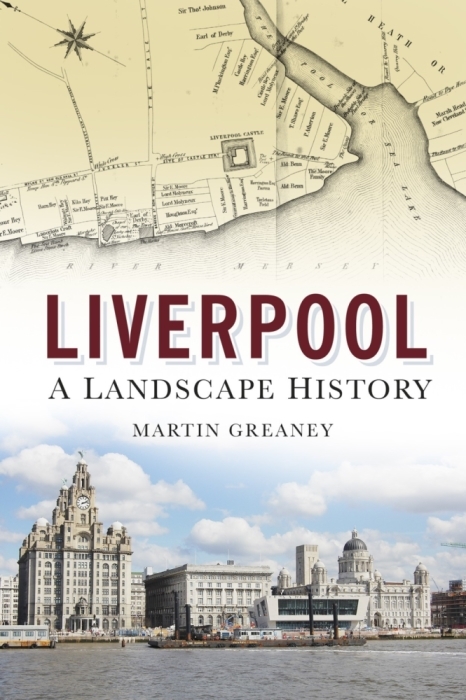 The Royal Atlas includes the names of individual roads, docks, railway stations, parks and the grounds of the two biggest football teams on Merseyside. 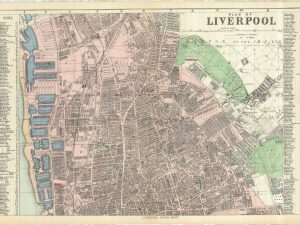 If you have Liverpool ancestors and you’re looking for where they lived, this might be the map for you. 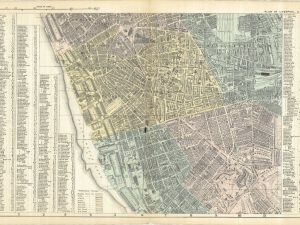 If researching your family history, you should also look at the two halves of the Plan of Liverpool (1890). The North Sheet and South Sheet are both available as high quality prints. 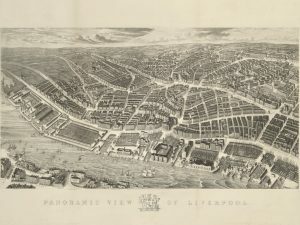 They label a lot of streets, and cover a greater area of Victorian Liverpool. 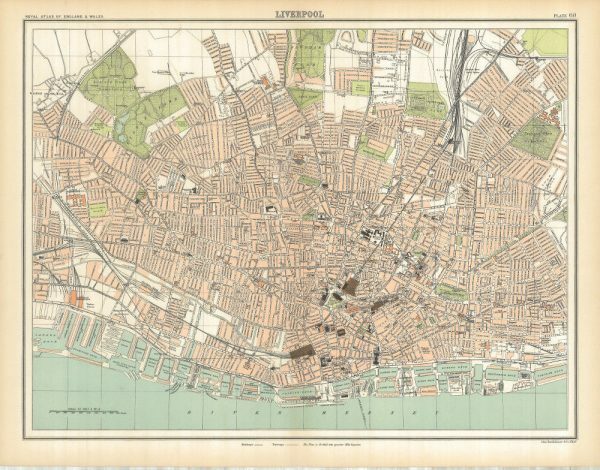 This old map of Liverpool is something of a tourist’s guide to the city. 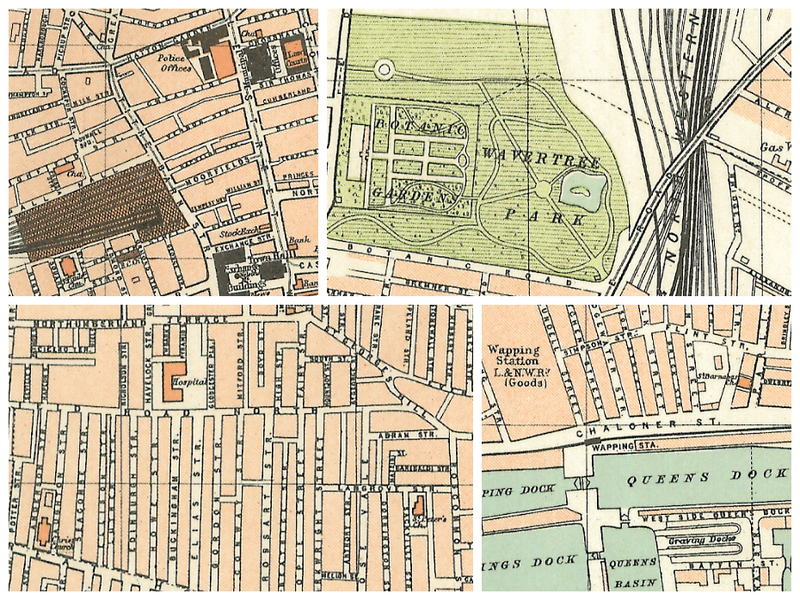 All the public buildings have their names printed, and are shown in sold black outline. The General Post Office, the Municipal Offices and the Free Library (William Brown Street) are there. We also see labels for the theatres, the railway stations, hotels, churches and chapels. Everything for the traveller! 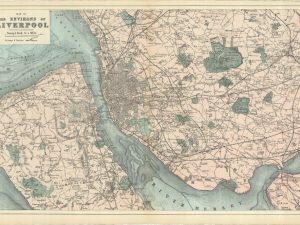 The map takes the River Mersey as its focus, at the bottom of the map. 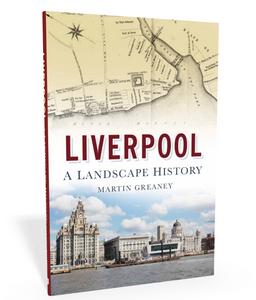 This reinforces the more natural perspective of Liverpool, with the Pier Head at its centre and the roads and railways expanding from there. The print comes at slightly larger than its original size. These scans are so good that no detail is lost in the enlargement! My map the Plan of Liverpool North Street shows Butterfield Street. The Standard size is the original size of the old map so should be readable, and there is a larger size if you want to have something bigger and easier to read.